5-chamber technology. This window has excellent thermal insulation properties combined with narrow widths. The THERMO|6 windows have 3 sealing levels and conventional steel reinforcement. Therefore zero energy house qualified windows are now, thanks to industrial production and a great diversity of profiles, cost effectively implemented to a high standard. 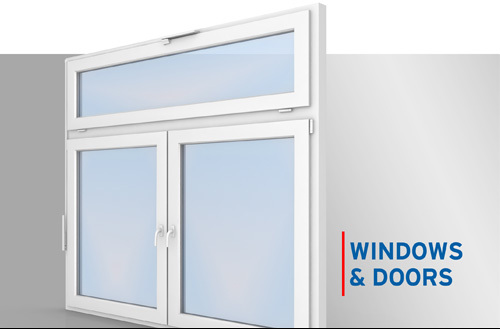 The A-MD|72 aluminum windows offer a great many solutions for special design requirements. The contour of the design with beveled outer contours is ideal for renovation or visual accentuation. We`re processing for our PVC Windows exclusively Quality Profiles from Schüco. Trendsetting hardware solutions offers high functionality and security. Thereby we reduce the CO₂-emission. © 2019 ISOGON Fenstersysteme GmbH. All rights reserved. You are about to leave the website of isogon.com.